For the Mother's Day week-end we combine the flavors of excellent locally crafted wine and chocolate truffles. 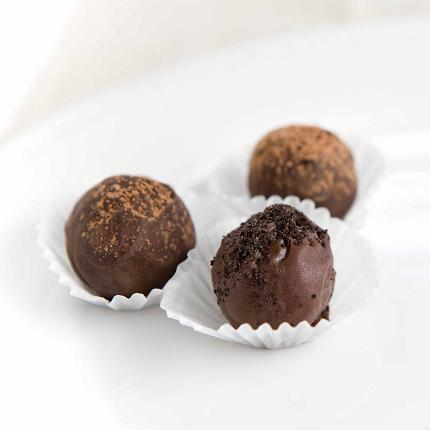 This special tasting is good for 3 unique, gourmet locally-made chocolate truffles paired with 3 two oz. selected Grove wine tastings. The chocolates are made by Greensboro Pastry Chef Julie Watson. If extra truffles are available this tasting can be purchased at the winery for $14 per person. Save money and make sure your truffles are available by reserving in advance. This tasting is available noon - 6 pm from Saturday 5/11/2019 through Monday 5/13/2019. For those that have advance reservations, they can visit any time during this time period. A list of online purchasers names will held at the Grove tasting room and your chocolates will be reserved for you and available any time during that time period.